I'm a mid-Atlantic tinkerer and writer on many topics. I do-it-myself whenever I can, and write about the experience. Paying for air, something that's everywhere and free, is annoying. Here is how you can fird free air for your tires Also plenty of tips on how to set your tire pressure for the best performance of your tires and your car. Not all convenience stores have reverted to charging for air. 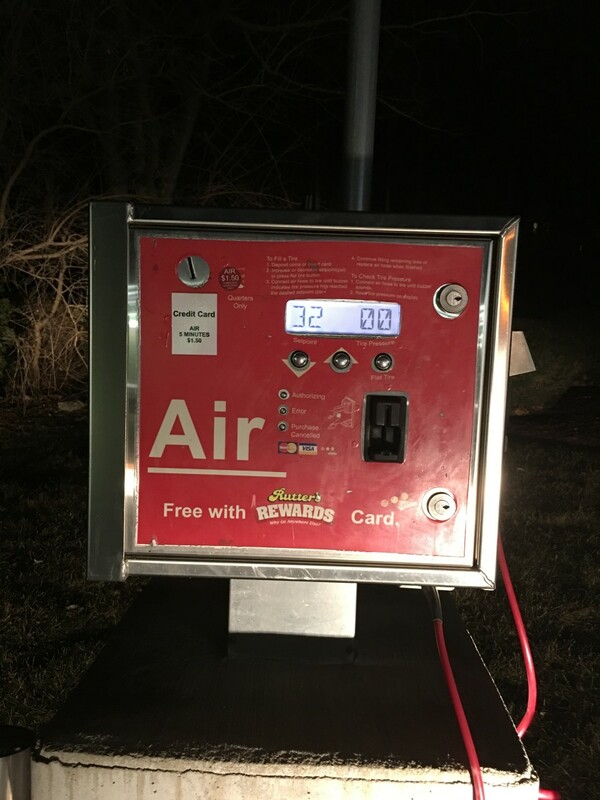 Some convenience stores in my region still offer free air. I patronize these places for gas and air whenever possible. 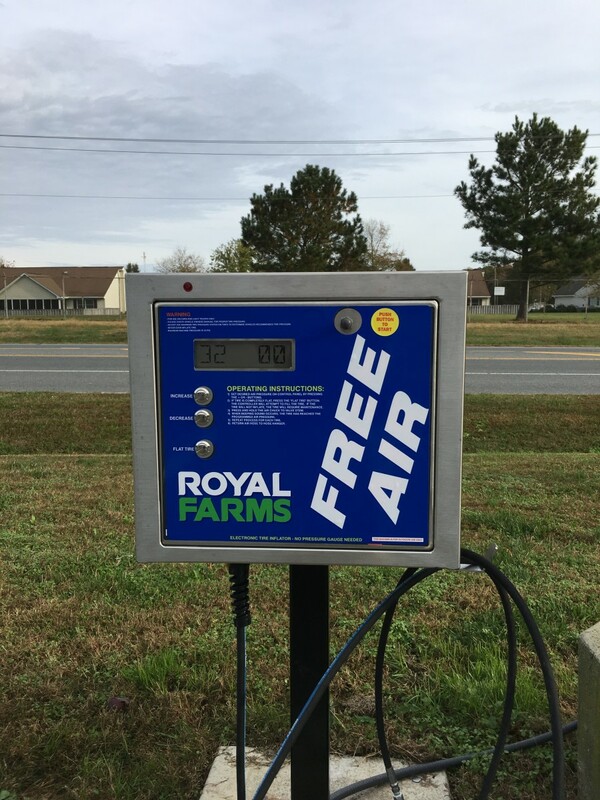 CAUTION: Not every Royal Farms Store offers free air. Some Royal Farms stores serve as a convenience store only; they do not provide auto services such as gas, tire pressure pubmp, and vacuum cleaners. I learned this after traveling to several stores looking for free air and did not find it. Yet another way to inflate your tires for free is to find a convenience store with a pump that you can activate with a rewards card. A good example is Rutters. To get your rewards card, go to the counter in the store and ask for a Rutters Rewards Card. It's completely free. You don't have to accumulate points or credits before you can get free air. The Rutters Reward Card offers another bonus -- cents off per gallon of gas! For the most accurate tire pressure, find a free air pressure pump with a digital display. It's accurate to within 0.5 PSI. Set your desired pressure on the digital display. The pump will automatically stop at that pressure. Remember when you could pull up to an air pressure pump that had a brass pressure gauge built into the end of the hose? Once you pressed the gauge onto your tire valve, a small ruler popped out so you could visually read the pressure. If the pressure was low, you activated the pump by pressing a button on the brass gauge. 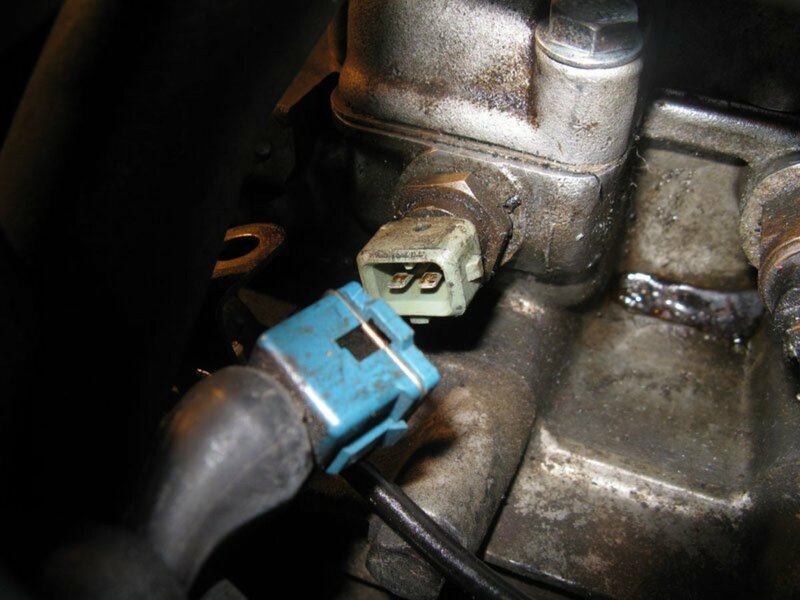 If the pressure was too high, you let air out of your tires by pressing the valve stem. There are a few of these older air pumps out there in some communities near me. Most have converted to pumps with digital displays offering free air as illustrated in the photos above, or "fee air," for which you pay 50 cents, a dollar, a dollar and a half, or perhaps more. Remember, though, that these older pumps don't have the newer digital display with the most accurate tire pressure. Now the question is: How do I find places offering free air? Using your smartphone, check out the website www.freeairpump.com. Enter your address or zip code and up pops a map showing places around you where you can get air for free. 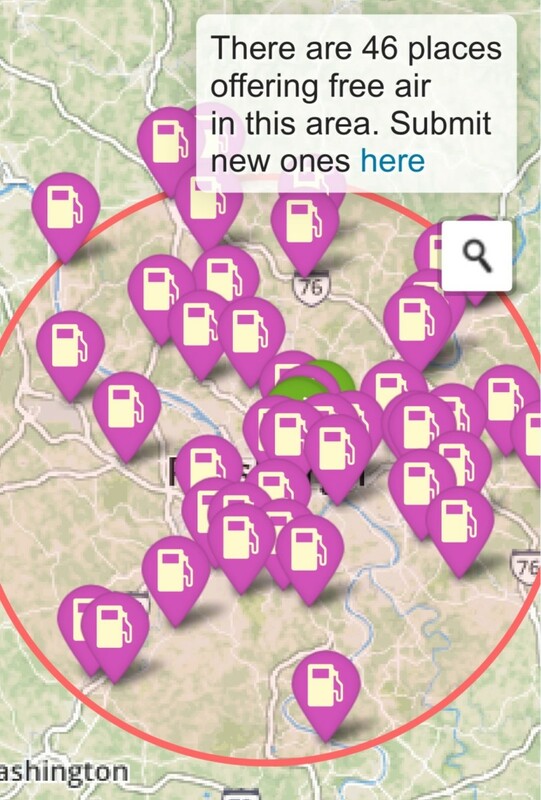 Click on any gas pump logo ton the map to reveal the name of the store and its location. The example below shows a map for the Pittsburgh area. Places shown are user-provided, so the map is only as accurate as the user-supplied data. You can submit your own additional places for inclusion in the data. Depending on where you are located and whether there are user-supplied free air places nearby, you may have to drive several miles to find free air. 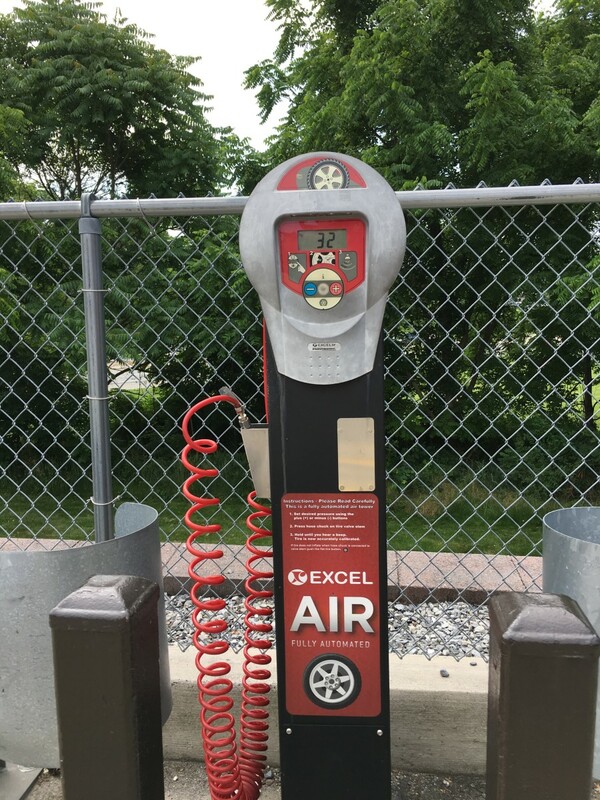 Now you have to decide: "Do I drive several miles for free air and spend gas money, or do I pull up to the nearest fee-for-air pump?" Why Do Many Store Operators Now Charge for Air? For many operators, it's a simple matter of money. Air for your tires is another product or service they can offer for a fee. Another reason is the ease and convenience of installing and maintaining an air pressure pump. Manufacturers of these pumps will install and maintain them at their expense while retaining a portion of the fee charged for use of the pump. Paying for air annoys many customers, however. So, many store operators see an advantage to offering free air -- the goodwill of their customers and the likelihood that these customers with patronize their store and buy other products. What Does it Mean When You See a Tire Pressure Warning Light? Newer cars have an automatic tire pressure sensor in each tire. it's part of your car's Tire Pressure Monitoring System (TPMS). The valve where you inflate your tire is attached to a sensor inside the tire chamber. When the pressure in the chamber drops to about 25% below the manufacturer's recommended "cold" pressure, the sensor sends out a radio signal which in turn activates the tire pressure warning light on your dashboard. You get the warning light even if just one of your tire pressure sensors is activated. The warning light tells you that at least one of your tires has "low," but it doesn't tell you which tire that is. So you should check the pressure in all your tires. 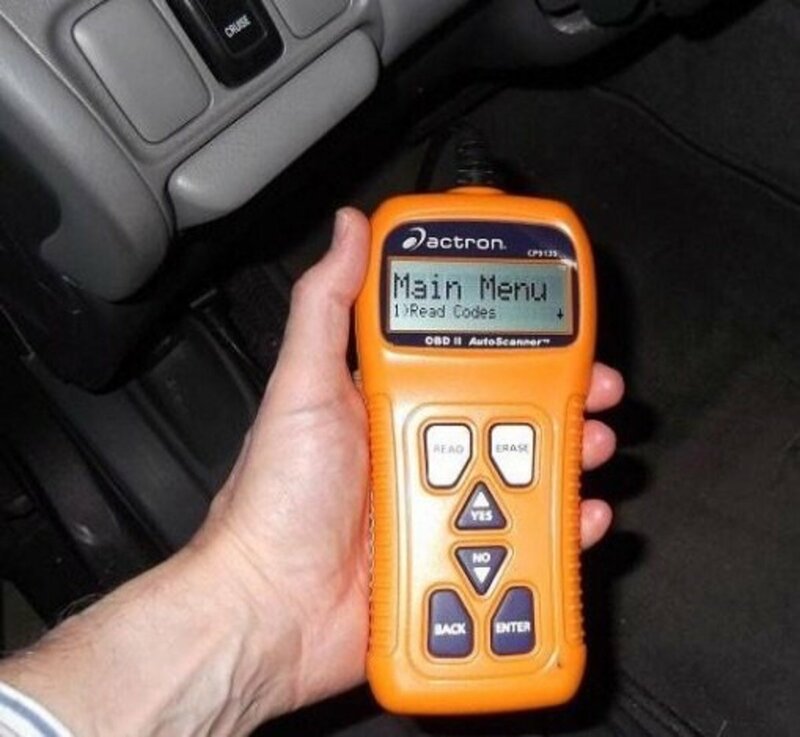 If you want to know more about your particular car's Tire Pressure Monitoring System (TPMS) study your owner's manual. When your tire pressure warning light is activated, at least one of your tires is about 25% below the manufacturer's recommended "cold" tire pressure. If you're like me, you don't like to pay for air to inflate your tires. So I'm going to tell you how I find free air for your tires. But first, we need to understand what tire pressure is best for the performance of your tires and fuel economy of your car. Newer cars have tire pressure sensors located in each tire. 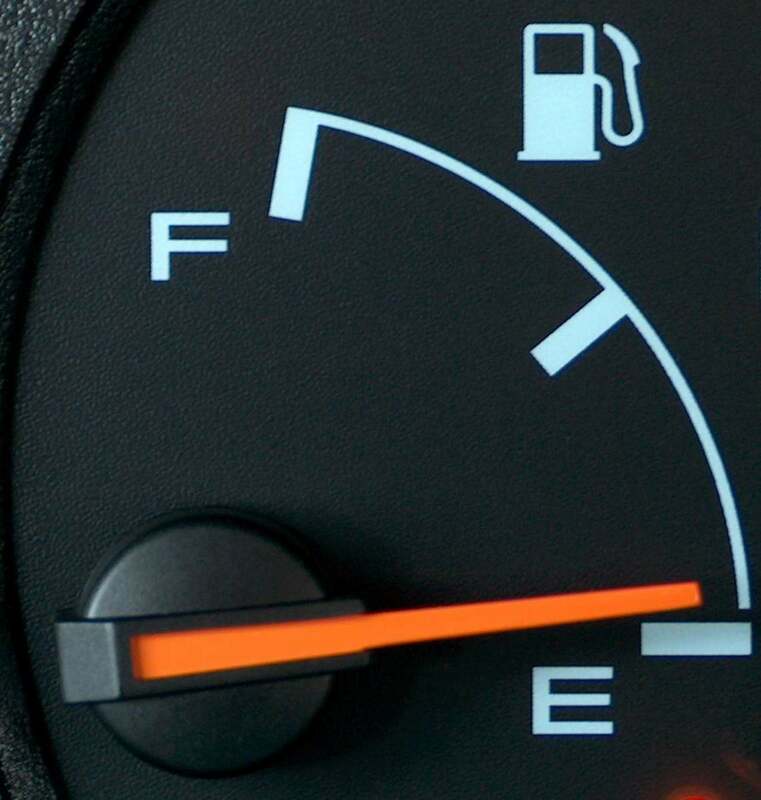 You get a warning on your dash when the pressure in one or more of your tires is "low." In my older car, I keep a pencil-shaped tire pressure gauge in my glove box to periodically check each tire. Or you can get a fancy back-lit handheld electronic gauge. For the best gas mileage, the longest tire wear, and the best overall performance for your car, use the manufacturer's recommended tire pressure, You can find it in your owner's manual and on a sticker on the door column. Keep in mind, however, that this recommended pressure is for "cold" conditions: that is, before you start driving in the morning. 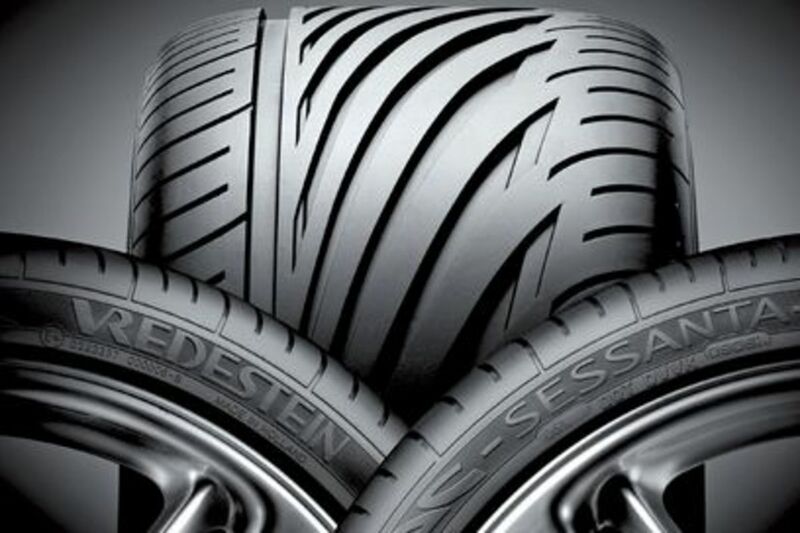 As the outside temperature increases during the day, and as your flexible tires roll along the road surface creating friction, the temperature inside the tire chamber increases and causes the air pressure to increase. Afternoon tire pressure, after you have been driving a lot, can be as much as 6 pounds more than the "cold" pressure in the morning before driving. What this means is that if you are checking your tire pressure in the afternoon and it's several pounds higher than manufacturer's recommendation, and you deflate the pressure to that number, you'll be under-inflating your tire. We must take this into account when we check pressure. If you want to learn more about this important subject, see "Tire Tech: Air Pressure, Temperature Fluctuations." Make sure you compensate for temperature conditions outside and inside your tire when you set the tire pressure. Free air is always available to you when you carry a 12-volt tire inflator in your trunk. Simply plug it into the 12-volt outlet in your dash. This model features a digital display and cuts off when the tire pressure you set is reached. You can also use it to inflate bicycle tires, air mattresses, balls, and other toys. 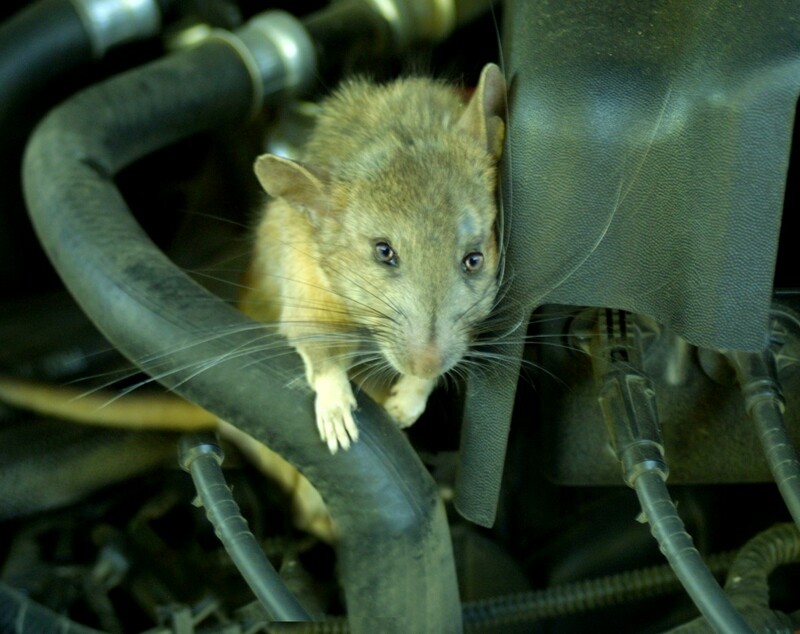 Be sure to check the air pressure in your spare tire. 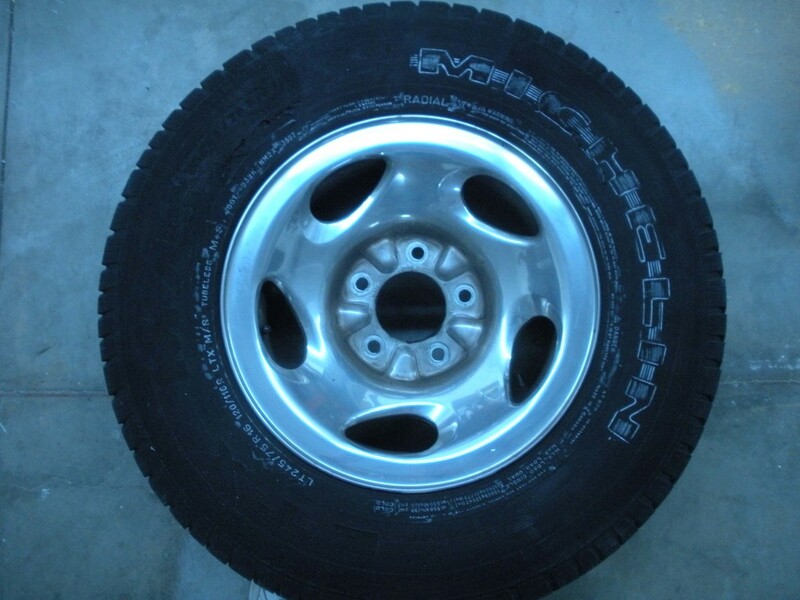 Most folks do not remember to check the air pressure in their spare tire when they check the four mounted tires. I know from personal experience. A family member had a flat tire recently and when a good Samaritan stopped to help, they found that her spare tire was also flat. A lot of grief would have been saved if the spare tire had been checked and was ready to go. Another thing. Some folks may not have even looked to see if they have a spare tire. So open your trunk, find your spare tire and be sure to check its pressure along with the others.